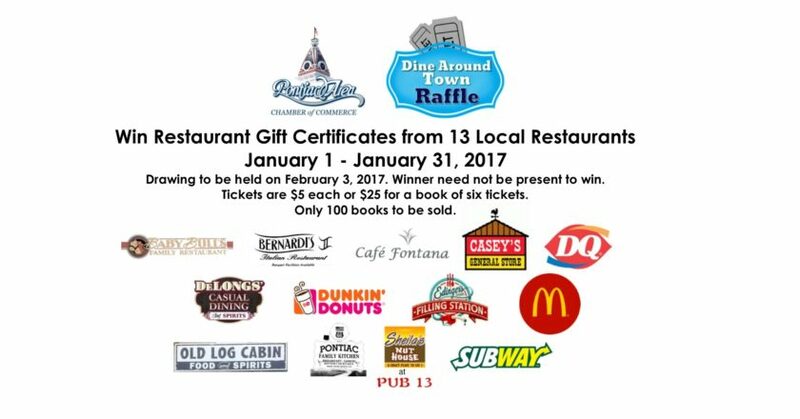 The Pontiac Area Chamber of Commerce is promoting its restaurant members throughout the month of January with the Dine Around Town Raffle. Thirteen local restaurants have donated gift certificates for the raffle and one lucky winner will receive them all. The list of gift certificates is below. Raffle tickets are available in books of six for $25 with only 100 books being sold. Tickets are also available one for $5. Call or stop by the Chamber office to get your raffle tickets today. Two growing issues for police across the country are identity theft and drug addiction. Identity theft is the fastest growing crime in the US with total losses estimated at $112 billion in the past six years. In addition, local law enforcement in Livingston County have have implemented the Safe Passage Program, which is aimed at getting people suffering from addiction the help they need, instead of putting them in handcuffs. 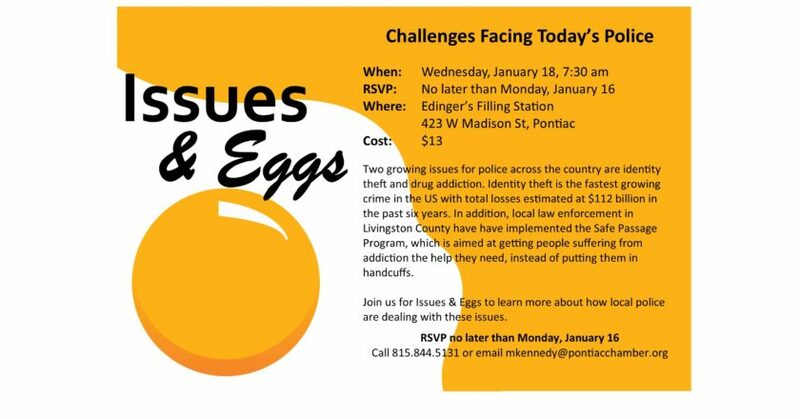 Join us for Issues & Eggs to learn more about how local police are dealing with these issues.